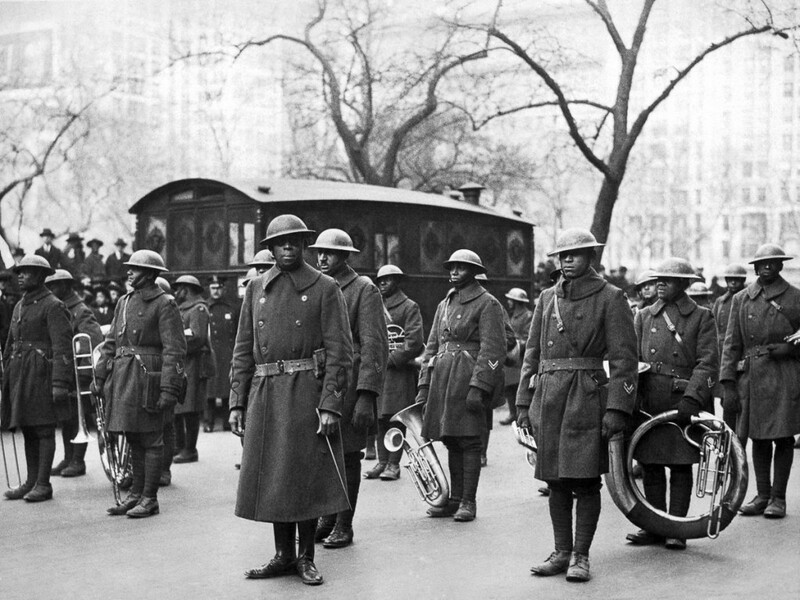 "Marching On: The Politics of Performance" by Bryony Roberts, Mabel O. Wilson, and the Marching Cobras of New York. 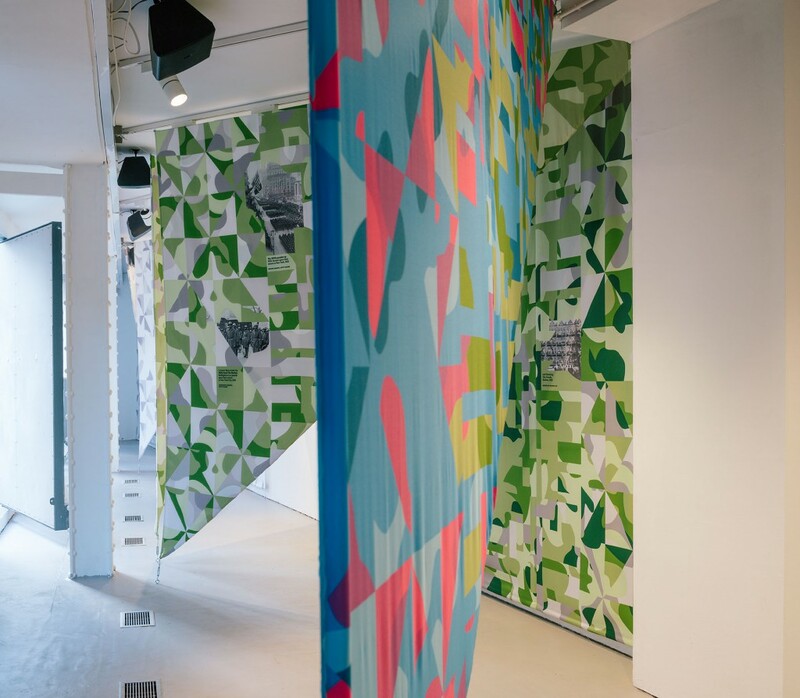 Commissioned by Storefront for Art and Architecture, 2017. Image by Bryony Roberts. 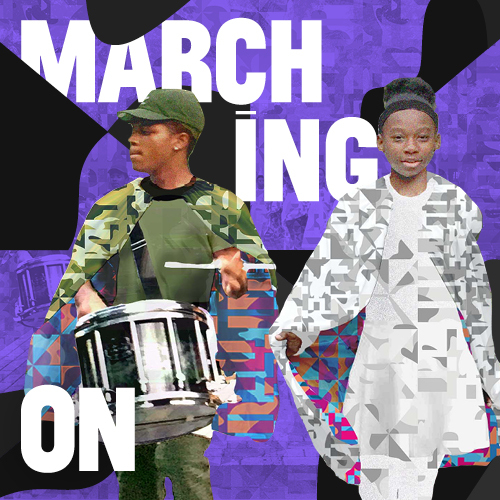 Marching On Performance Teaser, November 2017. Commissioned by Storefront for Art and Architecture. Video by Feran Mendoza and Chris Balmer. 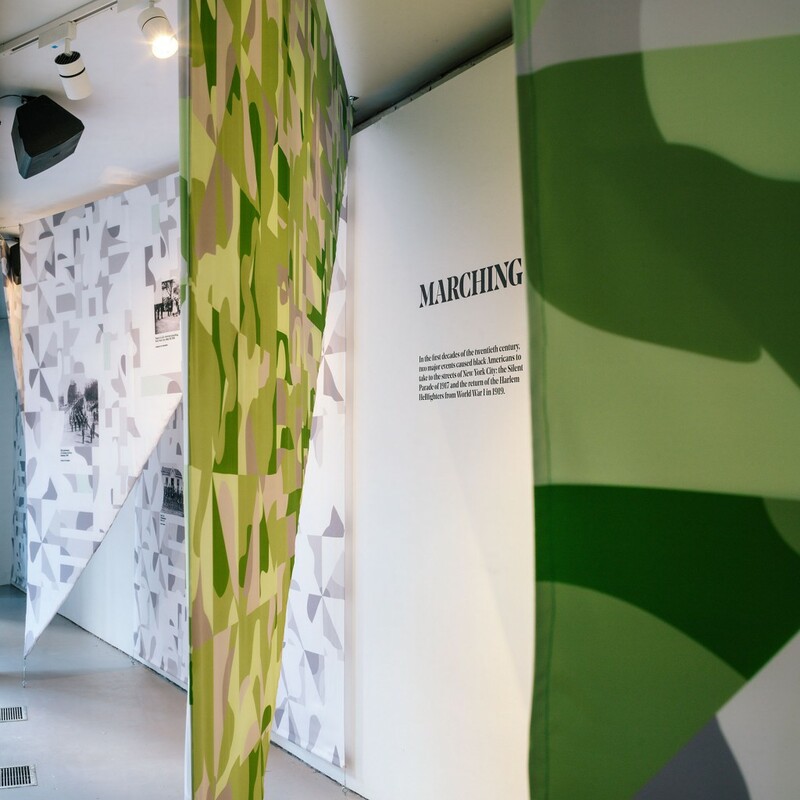 Marching On: The Politics of Performance explores the histories, driving forces, and legacy of marching and organized forms of performance. 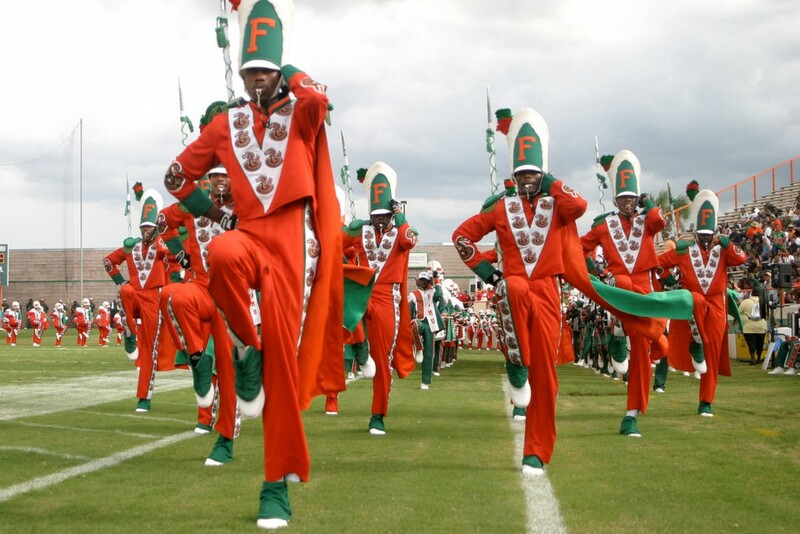 African-American marching bands have long been powerful agents of cultural and political expression, celebrating collective identities and asserting rights to public space and visibility. 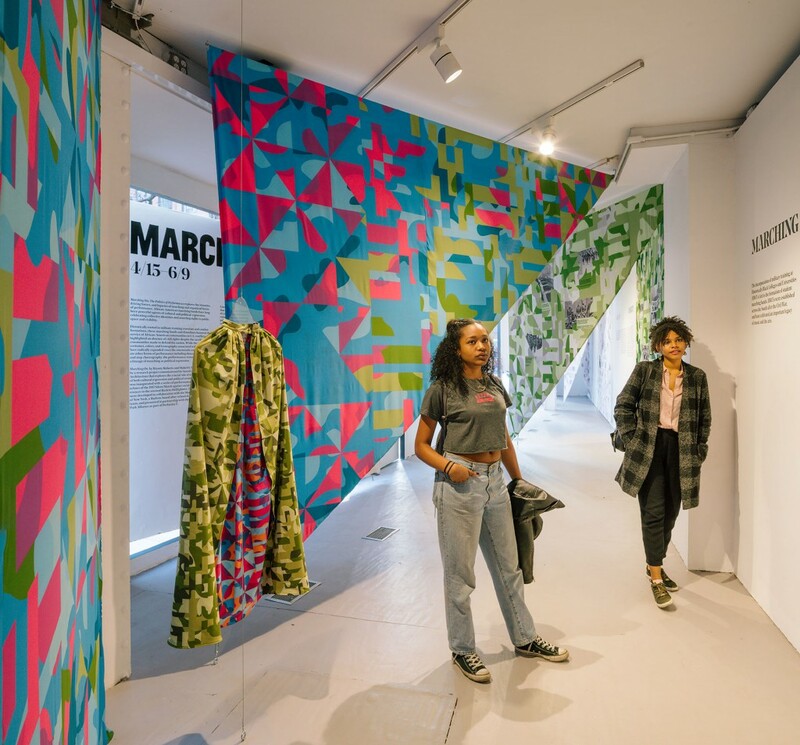 Commissioned by Storefront for Art and Architecture, Bryony Roberts and Mabel O. Wilson have created a research project and exhibition that explores the crucial role of the community’s collective movements as acts of both cultural expression and political resistance. 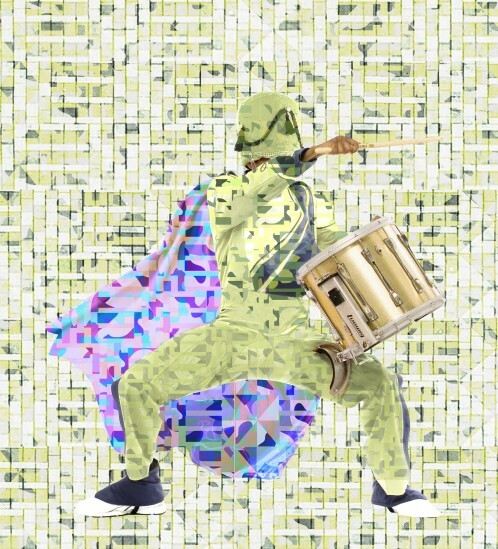 The project was inaugurated with a series of performances that interwove echoes of the 1917 Silent March against racial violence with references to the revered Harlem Hellfighters. These performances were developed in collaboration with the Marching Cobras of New York, a Harlem-based after-school drumline and dance team, and presented in partnership with the Marcus Garvey Park Alliance as part of Performa 17. Read more about the performances here. 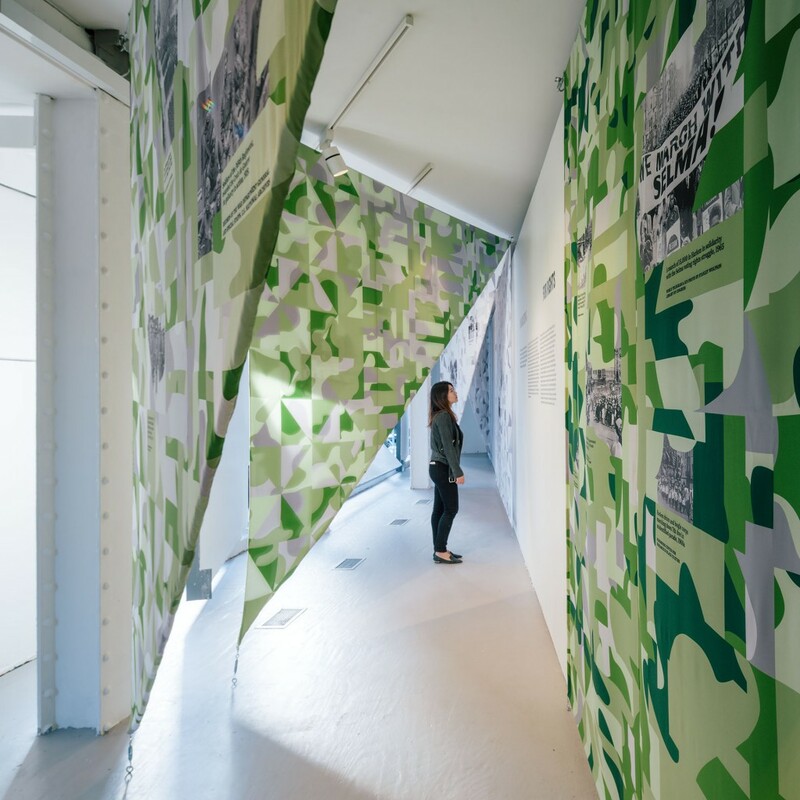 For the exhibition, Roberts and Wilson combine the many layers of the research and performance project into a spatial installation. 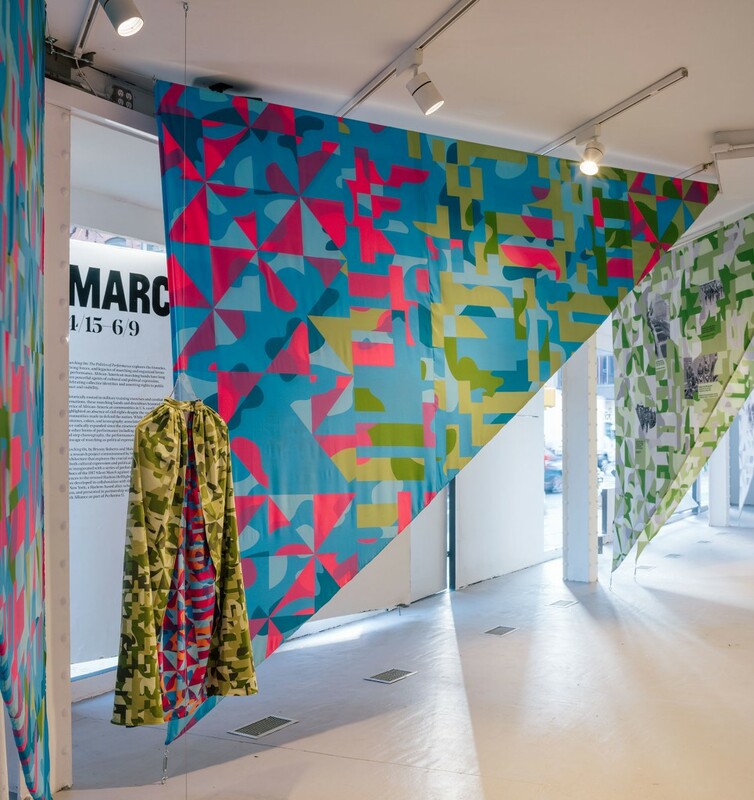 Continuing and expanding upon the theme of camouflage, the exhibition displays volumes of custom-printed fabric in hybridized patterns. 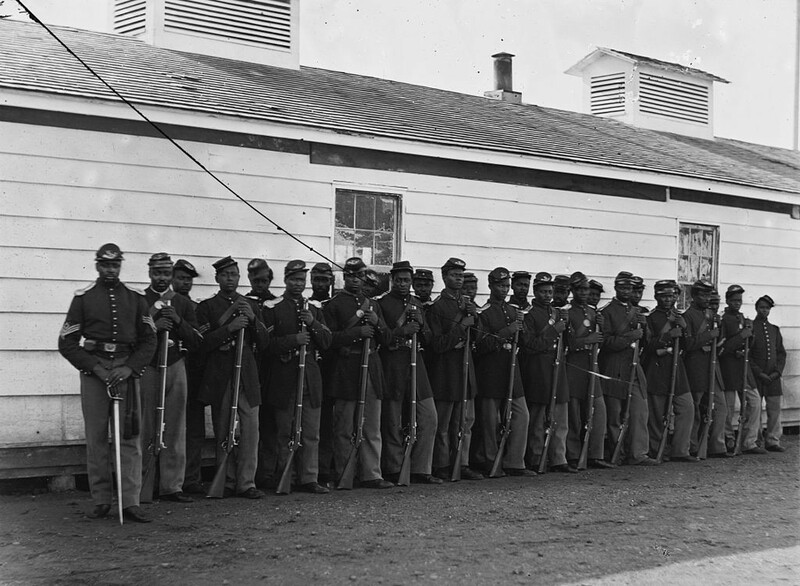 In part, marching bands served as a form of camouflage that enabled African-Americans to gather and occupy public spaces when otherwise prohibited during the era of Jim Crow segregation in the nineteenth and twentieth centuries. 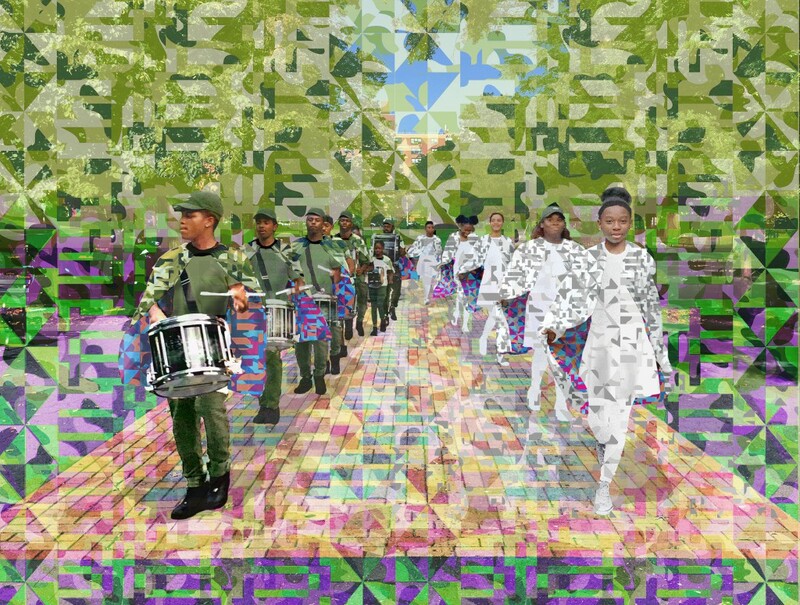 In response, the exhibition’s patterned textiles merge military camouflage with the geometric paving patterns of Marcus Garvey Park, the site of the inaugural Marching On performances. 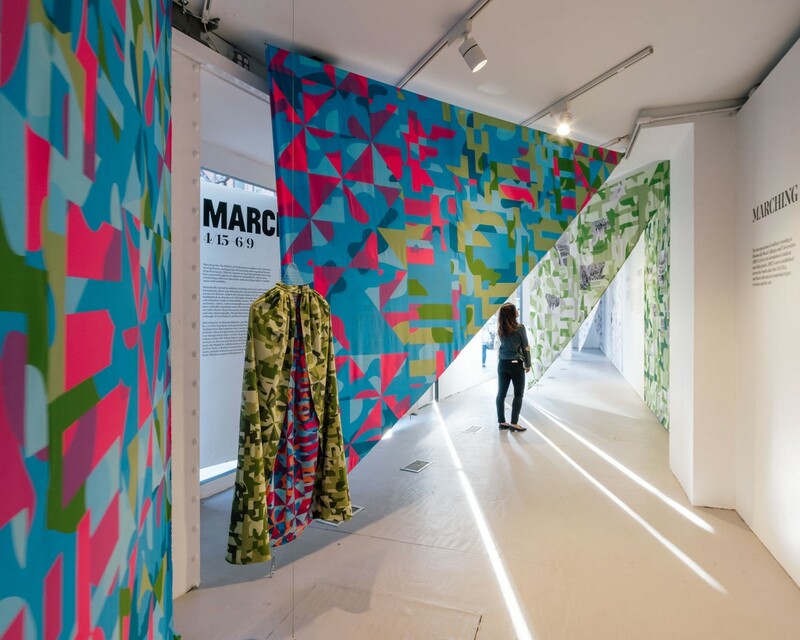 Changing color along the length of the gallery, the fabric creates pockets of space for thematic topics related to the history of race and urban public space. 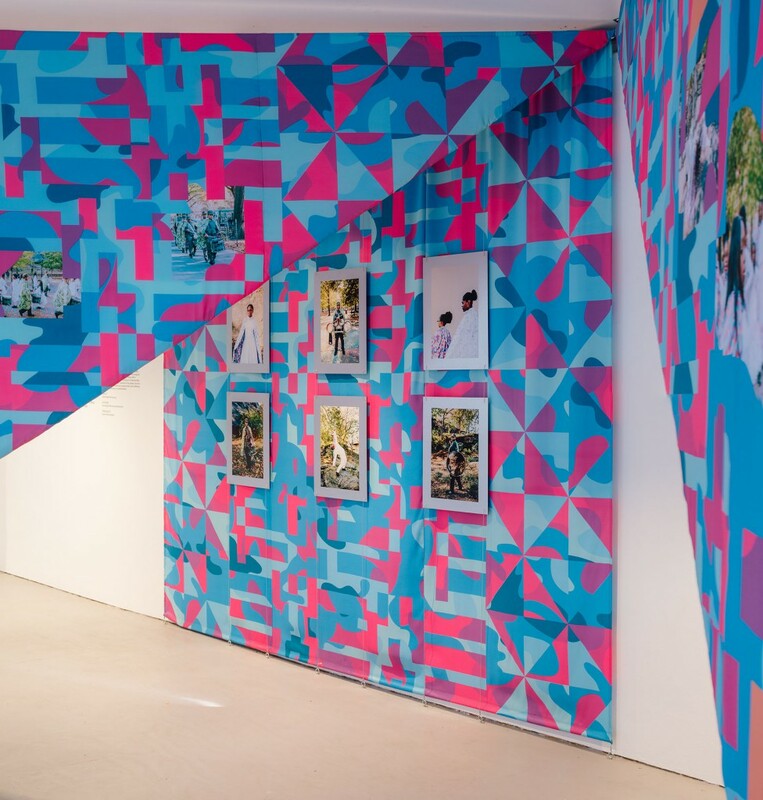 By layering photographs and text into the graphic patterns, the exhibition’s fabric panels play with the oscillation between visibility and invisibility. 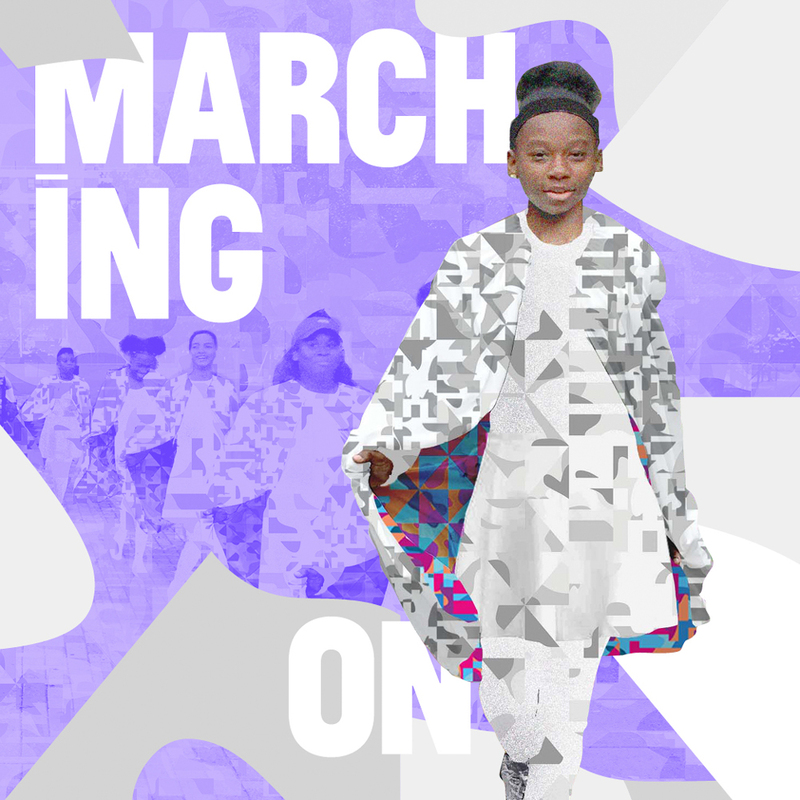 Marching On: The Politics of Performance, April 2018. 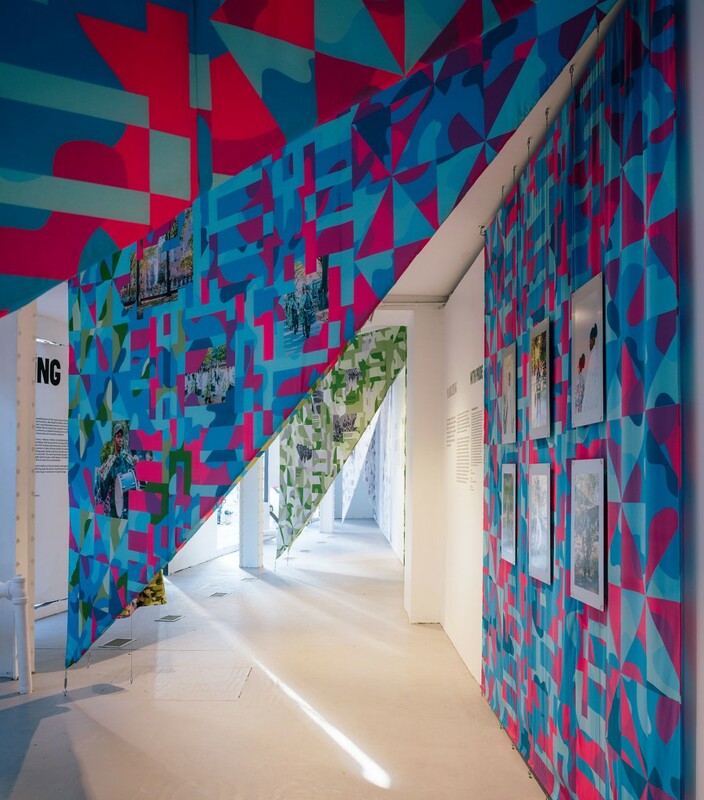 Commissioned by Storefront for Art and Architecture. Video by Feran Mendoza and Chris Balmer. Bryony Roberts is an architectural designer and scholar. She earned a BA from Yale University and an MArch from Princeton University. 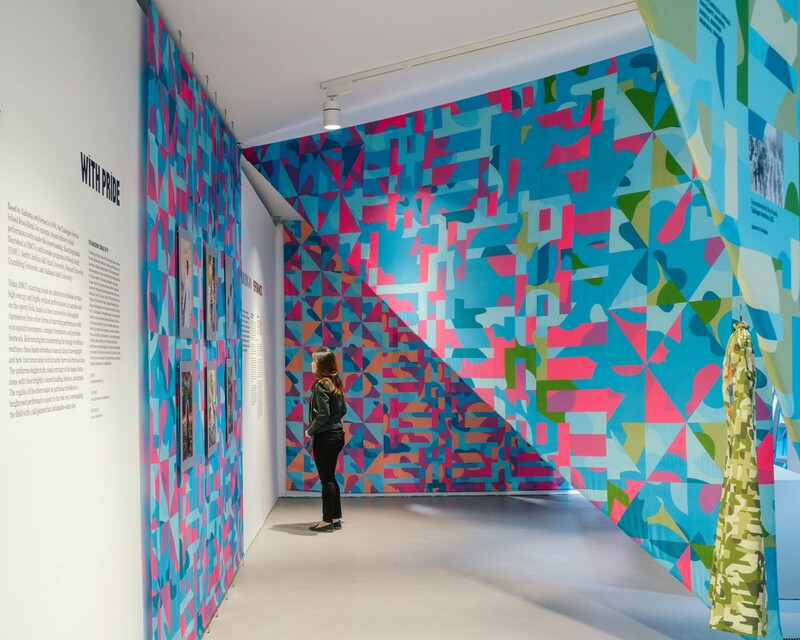 Her work has been supported by the Graham Foundation and was featured in the 2015 Chicago Architecture Biennial. 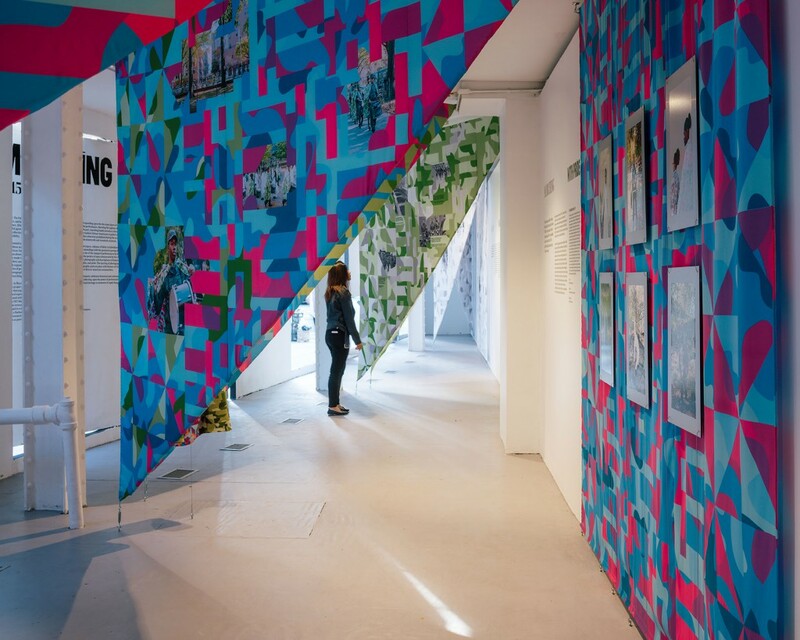 She has published widely in design and mainstream publications, and has taught at Rice University, SCI-Arc, and the Oslo School of Architecture. In 2015, she was awarded the Rome Prize from the American Academy in Rome. 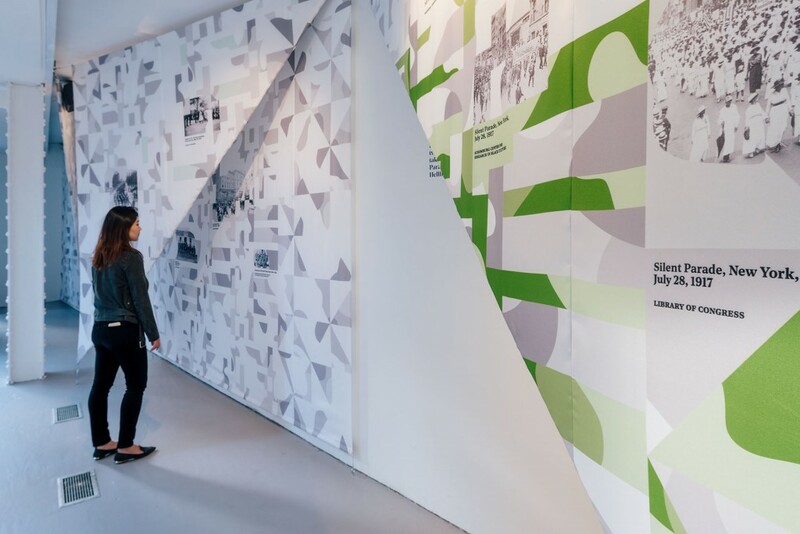 Roberts’s practice integrates architecture, art, preservation, and performance to activate and critically engage historical buildings and urban spaces. 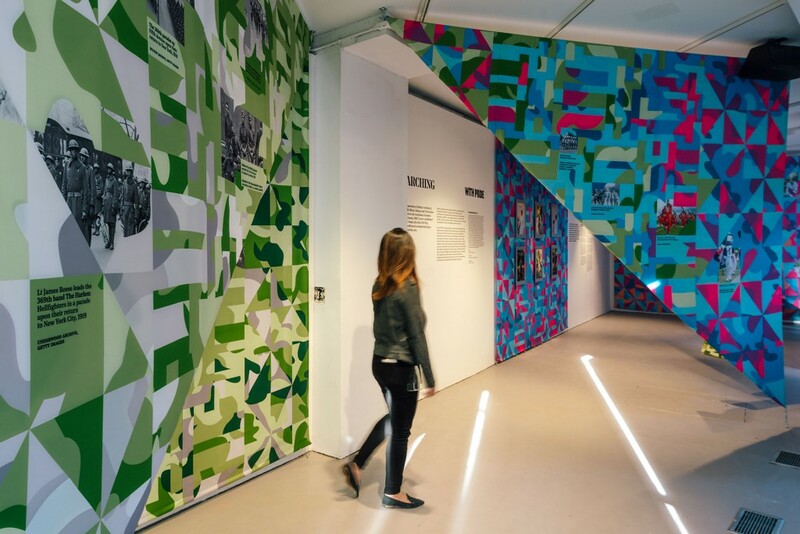 With projects at sites such as Piazza del Campidoglio in Rome, Federal Plaza in Chicago, Government Quarter in Oslo, and Neutra VDL House in Los Angeles, her practice operates across many scales, from temporary installations to urban design. 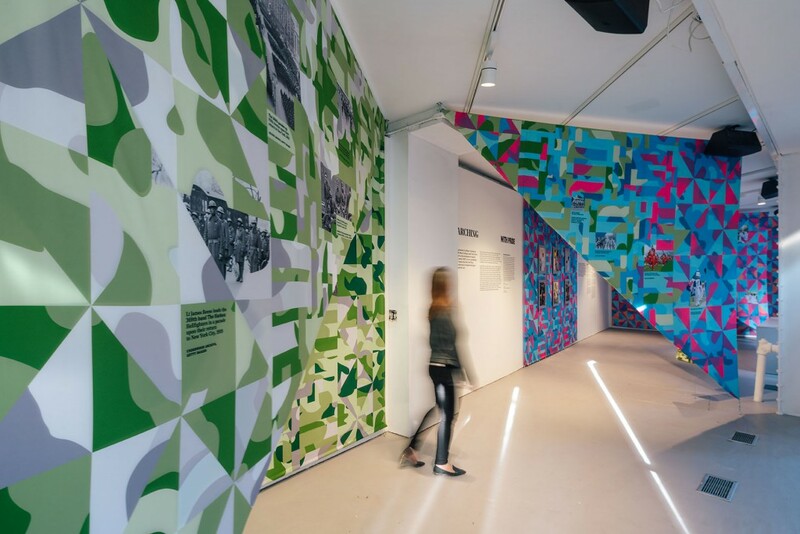 This range aims to foster social activation of historical sites and critical discourses on how we preserve and change existing structures. 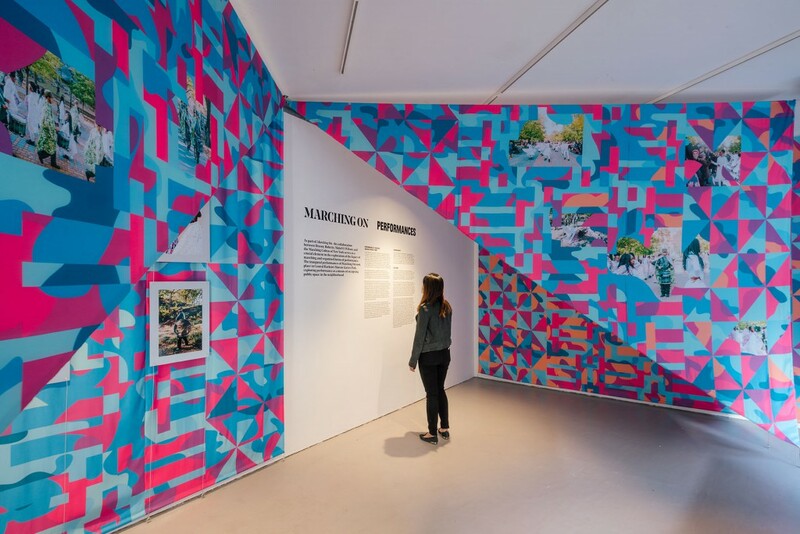 Mabel O. Wilson navigates her transdisciplinary practice between the fields of architecture, art, and cultural history. She is a professor of architectural design and theory/history at Columbia University’s GSAPP, where she directs the graduate program in advanced architectural research. 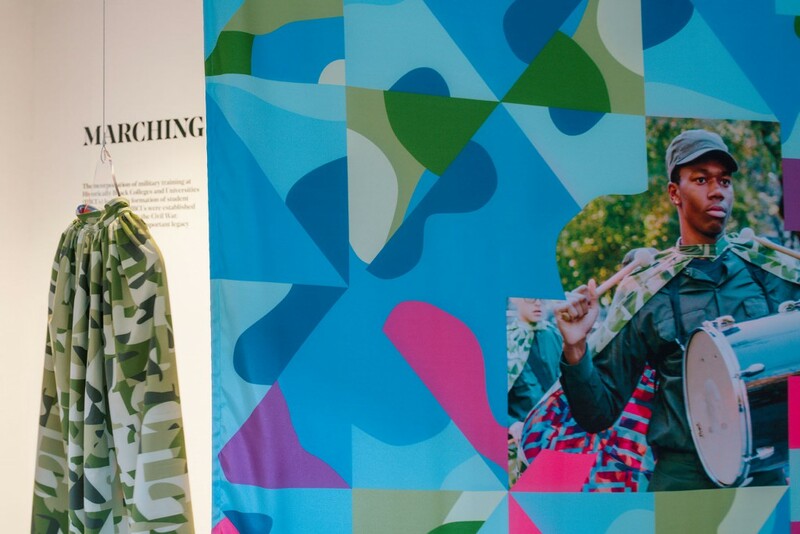 She co-directs GSAPP’s Global Africa Lab and the Project on Spatial Politics. She also holds an appointment as a senior fellow at the Institute for Research in African American Studies. 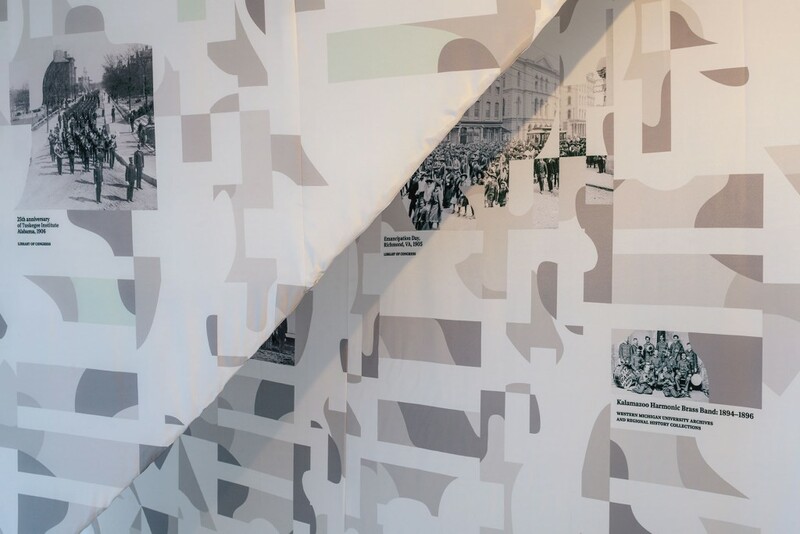 Wilson’s design experiments, scholarly research, and advocacy projects focus upon space, politics and cultural memory in black America; raciality, technology, and aesthetics; and the globalization of architectural practice. 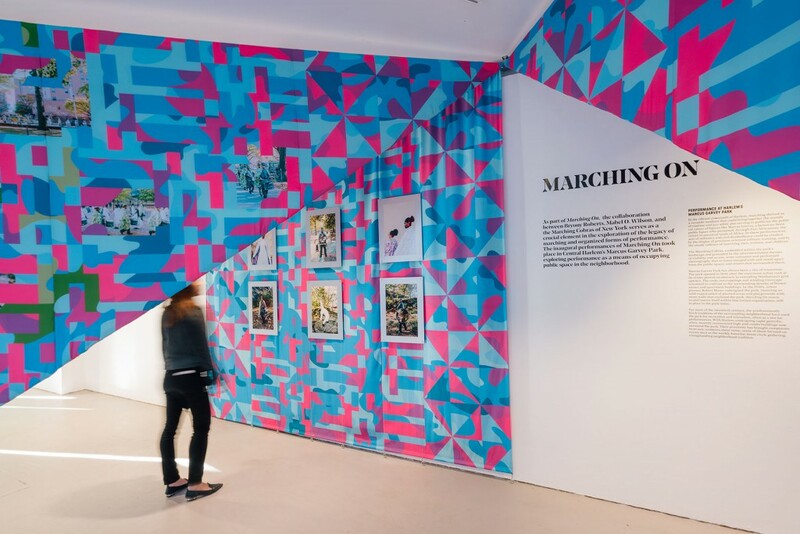 Marching On: The Politics of Performance is commissioned by Storefront for Art and Architecture. 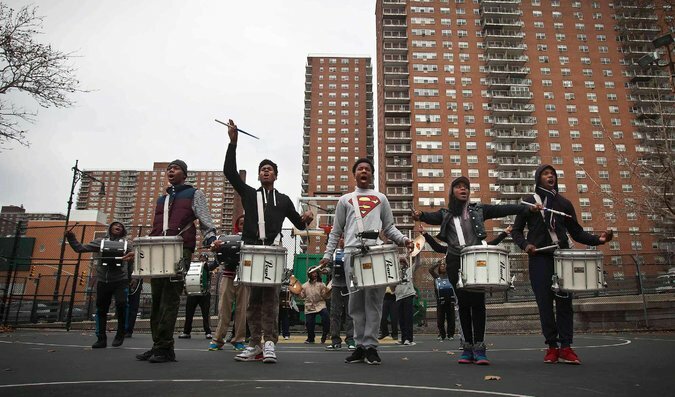 Photo: The Marching Cobras’ drum line in Harlem, 2014. Courtesy of Carlo Allegri/Reuters.